It’s Community Centres Week from 19 to 25 July. 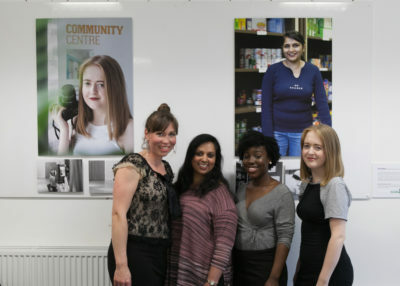 Gaynor Brooke, Chief Executive of North Smethwick Development Trust, runs a thriving community centre called Brasshouse in Sandwell. Here she shares how it’s making a difference to local people every day. In 1988, a group of local people saved local houses marked for demolition and, working with the council, renovated them. This was the start of many community-led regeneration projects local people, now incorporated as the North Smethwick Development Trust, would take on to make North Smethwick a better place to live. Our latest project was to take over the management and renovation of the Brasshouse community centre, previously owned and managed by Sandwell Council. In 2013, we completed a community asset transfer with Sandwell Council signing a 99 year lease. This paved the way for us to redevelop the dilapidated building and turn it into a fit-for-community-purpose centre, capturing over 500 local people’s priorities, needs and aspirations. The centre was named after Brasshouse Lane where we are based, where a brassworks operated from 1772. Like the factory once was, our community centre is a hub of activity and opportunity for local people. We want to have something for everyone, to help improve social cohesion, reduce social isolation and improve health outcomes. So how do we do it? No one better understands the problems and potential of a community than those who live there. That’s why we set our strategic vision based on the feedback we get from the local community as it is very important to us that we deliver what is needed rather than what we think people want. For example feedback from a recent community consultation told us that local people wanted more initiatives aimed at improving health and asked about creating a community garden – acting quickly we are now in the process of launching our volunteer-led ‘nature to place’ project aimed at growing food that can be cooked in the café. We are led by local people who are passionate about making Smethwick a great place to live. Our six Trustees all live or work in the local area, including three who were founding members of NSDT, and our Chair grew up locally and maintains strong ties to the area. Of course we couldn’t keep the centre running without our fantastic volunteers. Income from our community business help us to provide employment, volunteering and training opportunities for local people, including our volunteers. We invest in their training and development in catering (linked to our community café), health and wellbeing, communication and marketing and administration. 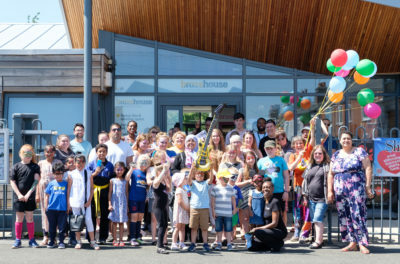 Brasshouse is a place where everyone can meet in a safe space – all ages, all backgrounds, and all cultures – there are no barriers and our centre plays a key role in strengthening the local community. About 1500 local people and businesses use the centre every month for everything from a cup of tea in the café, exercise classes, art workshops, homework clubs to hiring the space for training and family celebrations. Modern life is very busy and this has led to a reduced sense of community and we are aware that many people feel isolated in their own homes. 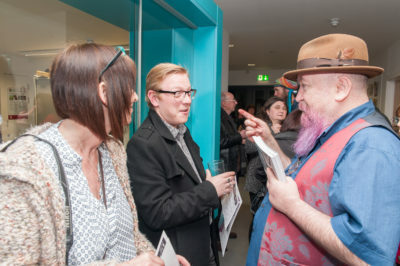 Activities and events at the centre give people a chance to get out, have regular contact with other people and create new friendships and bonds. Community centres can also take an active role in improving the health and wellbeing of local people. In partnership with Fareshare, in the last few months we have introduced ‘Free Food Friday’ at the Brasshouse giving anyone who lives in the local area access to a free meal and a chance to socialise. This initiative has proved hugely popular with up to 40 people attending each week and new friendships being formed. And we recently held a Health & Happiness themed community open day, attended by over 100 people. They tried new activities including everything from reiki, to bath bomb making with a storyteller and arts workshops. We want to do more and our five year plan, shaped by local people, is focused on youth, health, volunteering and the development of community enterprise. Coming up over the next few months we will be launching our volunteer led gardening project and holding a big party to celebrate 25 years of NSDT in August as well as (funding permitting) starting a Wellbeing Programme in September. Lots to do and never enough hours in the day but we wouldn’t have it any other way.